A toxic choking agent was used. One victim was diagnosed with unidentified gas poisoning. Others were affected. Symptoms include first-degree chemical-inflicted eye burns, alcoholic-like intoxication, bodily lacerations and fainting. Victims were hospitalized. At the same time, Kiev forces attacked Mariupol. They did so with tanks and other heavy weapons. Federalization supporters screamed “Fascists.” Armored vehicles fired on unarmed civilians. Reports suggest around 20 deaths. Many more were wounded. “At 12.50, 14 tanks were spotted coming from the agricultural base towards Mariupol. According to medics, there are two dead and 8 wounded,” the report added. A separate report said the Interior Ministry was set ablaze. RT International reported what happened. Its stringer was wounded. He’s identified only as Andrey for his safety. It happened while filming. He sustained a stomach injury. His bulletproof vest didn’t help. He’s hospitalized in serious condition. Reports suggest he’ll survive. Friday was Victory Day. It commemorated Nazi Germany’s defeat. Russia honored heroes of its Great Patriotic War. Ukrainians did so nationwide. Many thousands were on city streets. Imagine waging war this day. Imagine attacking civilians. Imagine targeting unarmed ones. Imagine doing so with thousands in harm’s way. Imagine US mainstream media ignoring what happened. Imagine European ones misreporting it. Imagine them calling freedom fighters “terrorists.” Imagine them ignoring civilian casualties. Imagine fascists fighting this way. Imagine Washington supporting their worst brutality. Imagine direct orders to commit mass murder. One fascist regime supports another. About 1,500 Mariupol residents participating in Victory Day commemoration marched on police headquarters. Other residents burned tires near City Council headquarters. Mariupol is one of many Eastern Ukrainian battlegrounds. Kharkov is Ukraine’s second largest city. On Friday, an anti-government rally was held. Around 1,500 residents participated. Putschists are waging “war against (their) own people,” they said. Thousands of Donetsk residents rallied. They chanted greetings to Great Patriotic War veterans. “Congratulations!” “Hurrah!” and “Russia!,” they shouted. Self-defense forces leader Denis Pushilin thanked veterans for defeating fascism. Police were supportive. They wore St. George’s ribbons. City residents applauded them. Thousands in Slavyansk rallied. They celebrated Victory Day. They did so despite Kiev-imposed martial law. Slavyansk People’s Mayor Vyacheslav Ponomarev called on them to fight fascism. Vote in Sunday’s referendum, he stressed. Odessans displayed a red banner over the Trade Union House building. They did so honoring hundreds Right Sector thugs killed on May 2. Most were inside. Crowds assembled in Taras Shevchenko Park. They did so to honor Soviet soldiers killed in the Great Patriotic War. Others gathered in Kulikovo Field. Right Sector thugs burned activist tents on May 2. Doing so was prelude to murdering 300 unarmed civilians inside and outside the Trade Union House building. Odessa and other Eastern Ukrainian cities remain battlegrounds. Expect no end of fighting soon. Perhaps bloodbath conditions before things end. Orders come straight from Washington. Eliminate opposition elements. Do it at all costs. Unleash violence without mercy. Use tanks, artillery, mortars, APCs, helicopter gunships, and other heavy weapons against civilians. Murder them in cold blood. Lie. Claim they’re terrorists. Say you’re protecting Ukraine. Good journalism is the first casualty of war. It’s a “weapon of war,” said John Pilger. Censorship is longstanding policy. Truth-telling is verboten. Mainstream media suppress what people most need to know. Managed news misinformation substitutes. Reporting on Ukraine has been appalling and then some. It matches the worst against Saddam, Gaddafi and Assad. Bad fiction substitutes for hard truths. It persists daily. Presstitutes make street whores look good by comparison. Marching in lockstep with US policy alone matters. Expect lots more of the same ahead. 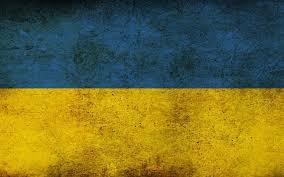 Ukrainian crisis conditions promise to get worse. Perhaps much worse before things end. Perhaps Obama bit off more than he can chew. Ukraine isn’t the walkover he planned. He’s his own worst enemy. He may have shot himself in the foot. Putin makes him look amateurish by comparison. He outsmarted him since crisis erupted last November. At times he made him look foolish. Assistant Secretary of State for European and Eurasian Affairs Victoria Nuland mocks the office she holds. She was caught on tape using obscene language. She admitted Washington spent over $5 billion dollars toppling Ukraine’s democratically elected government. On Thursday, House Foreign Affairs Committee members challenged her with tough questions on Ukraine. Nuland was nonplussed. She couldn’t deny credible video evidence. “There were many colors of Ukraine involved including very ugly colors,” she said. She stopped well short of truth, the whole truth, and nothing else. US-supported neo-Nazis bore full responsibility for Maidan violence. Likeminded extremists shared it. Clear evidence proved it. Coverup and denial suppressed it. Ousted President Viktor Yanukovych had no involvement. Nor members of his government. Nuland didn’t explain. She’s a war criminal. She’s guilty of high crimes. Her policy positions indict her. She belongs in prison doing hard time. So does Washington’s entire criminal class. They mock legitimate governance. They shame positions they hold. Washington makes more enemies than friends. They’re heading America for tyranny and ruin. It’s too late for mere scattered reforms. Hubris, arrogance and overreach assure ending imperial rampaging sooner or later. America is plagued by the same dynamic that doomed past empires. It’s spending itself to death. It’s bullying nations into supporting what harms their own interests. It’s threatening outliers that don’t. It’s increasingly having to work harder to accomplish less. It’s falling short or failing more often. It’s the world’s top pariah state. It bears repeating. It’s heading for tyranny, bankruptcy and ruin. Misguided policies wreck all empires. Washington is no exception. The bigger they are, the harder they fall. When America goes, the crash will resonate worldwide. It can’t happen a moment too soon.